Concerning Oberhaw, Winden and more Oberhaw. Every swordfighter can and will improve by training basic motions. The aim of this workshop is to challenge the fighter to dig as deep as possible into the core principles behind very simple motions. Using the sequence of Oberhaw, Winden, Oberhaw under different circumstances, everyone will have a chance to get out of their comfort zone and start exploring. Training this sequence in a variety of slightly unusual and possibly uncomfortable exercises, provides the chance to improve both efficiency and precision of motion. Fighters having just started practicing German Longsword, will benefit from a structured approach to core concepts. More advanced fighters will benefit when their views are being challenged: you either end up learning something new or you find your current views reinforced. What’s to lose? Training simple motions under different circumstances might just be what you need to train towards the next level. Mandatory equipment: Longsword, Mask, throat guard. Gloves and chest protection allow for some more dynamic drilling in certain exercises. Feel free to train with the gear you prefer. Arto started training Historical European Martial Arts in 2005 at Zwaard en Steen. Training German Longsword meant limited practice with wooden wasters and sparring with shinai at first. Every single upgrade in training weapons or protective equipment provided a new chance to discover more about the principles underlying the techniques of Liechtenauers legacy. In search of a cohesive system to understand the art of longsword, discussing led to teaching and Arto has been instructing since 2008. His focus is longsword in the early German tradition, working mostly with the sources attributed to Ringeck and Vom Danzig. The past years of research, teaching and tournament validation have served to create and tune a very structural approach. The desire for motions to be as efficient as possible led to a distinct fighting style, earning several technical awards in international tournaments. Arto has presented workshops and fought tournaments around the world and plans to continue doing so for the next 50 years. 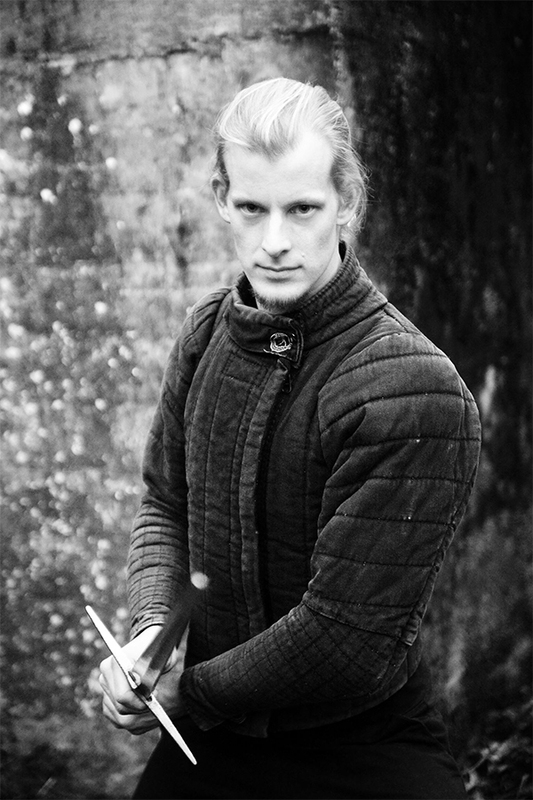 Within Zwaard Steen he is responsible for the development of the curriculum and longsword lessons. Currently teaching classes four times a week and private sessions whenever possible. Besides HEMA events, Arto has been involved in knightly tournaments organised by Stichting HEI. Whenever possible fighting in armour with pollaxe, sword and dagger to better understand how a knight would move in combat. These events also provided the opportunity to learn more about the historical background of medieval martial arts, from the perspective of a knightly valet in Jousts and other mounted combat tournaments. Inspiring people to discover new ways to move, think and fight will remain his main goal in HEMA in the years to come.